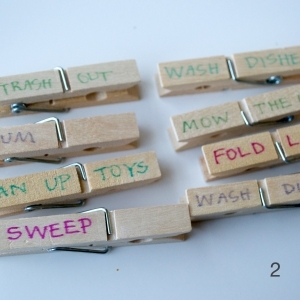 Kids hate chores. It is a simple fact of the universe (and of childhood). Being tasked with dusting, or taking out the trash, or cooking, or any number of other chores around the house tend to be hated (and avoided) by all children. And contrary to popular childhood beliefs, adults aren’t too wild about it either. And with work, travel, and whatnot occupying their minds, it can get hard to remember to do even the most basic things until you realize that you’ve effectively run out of toothpaste (not based on true events) before you realize you have to go to the store. 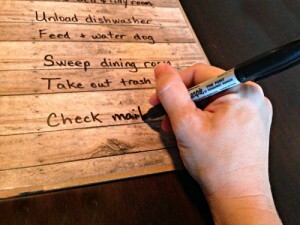 Make a list of all your daily and weekly chores around the house. 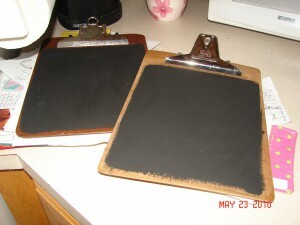 Take a regular plain exam or clip board and paint it black (or any dark color). Let it dry completely. Now take the white paint and divide up the board into four sections by making a large cross (one vertical line running across the center of the board, and one horizontal one). 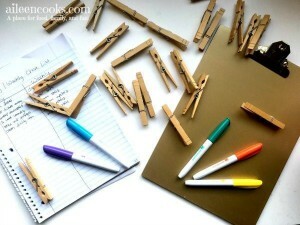 On the top half write “Daily” as a heading, and on the bottom half, write “Weekly” as a heading. Both the left hand columns will get the sub-heading “To Do”, and both the right hand columns will get the sub-heading “Done”. As you wait for the white paint to dry, take your list of chores and write each one on a wooden clothes’ pin using a permanent marker. Clip all the daily chore pins on the top of left side of the board, and the weekly ones on the bottom. 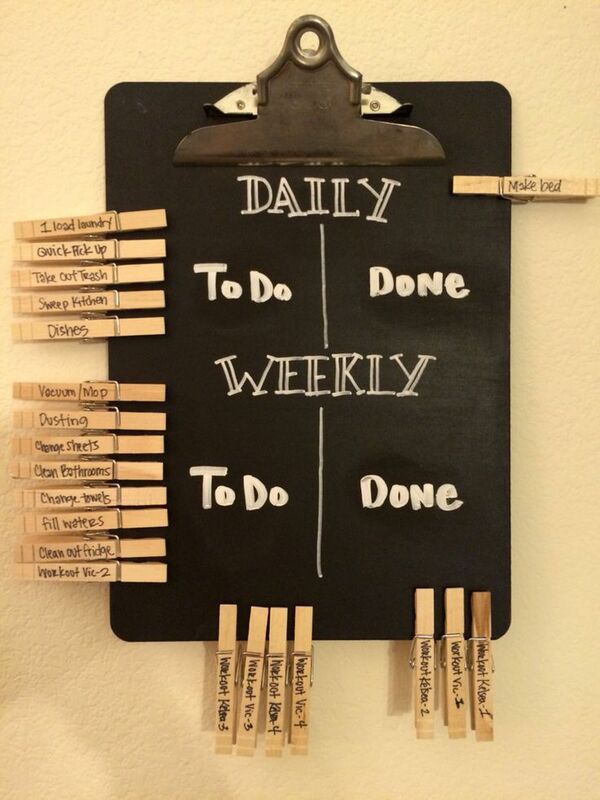 Hang up the board in a place where your family members/roommates will all see it. And there you have it! Now all you have to do is move them to the right side as and when someone does them. That way, you never forget any of your chores! 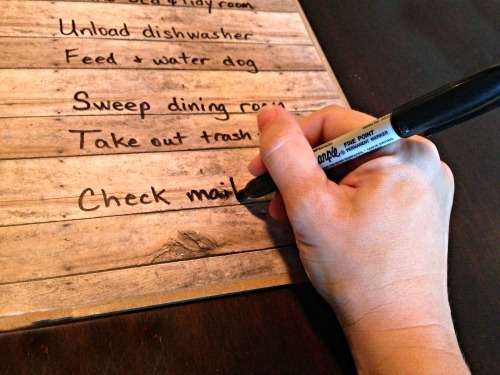 You can use different colors of markers for each member of the household (or even make dots of different colors) so that each person’s chores are divided.